© Photos by Paula Farmer. 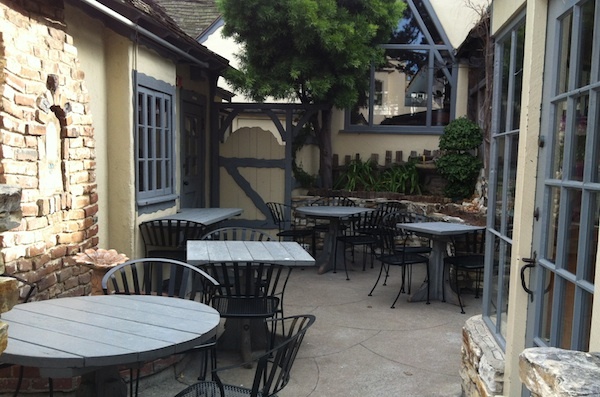 A charming village with Big Sur and local wineries nearby. A relatively quick and easy drive from the San Francisco Bay Area is Carmel, a quintessential charming California town, with definite hints of affluence. Although Carmel is sleepy in comparison to nearby Monterey and the Bay Area, it still has much to offer in the way of a day trip or weekend getaway. If you’re in the downtown area there, you’re surrounded by independently owned boutiques, cafes, galleries and wine bars. Many of them are obviously touristy in nature, but some are just plain good, appealing to both visitors and locals and are worth checking out. West of downtown is the dramatically beautiful coastline – great for walking, biking or driving. If you’re doing the latter, and continue a few miles south, there is the ever-stunning Big Sur. This is almost entirely natural setting where the Santa Lucia Mountains line up along the Pacific Ocean. Although Big Sur is a 90 mile coastline along highway 1, it’s defined by varying areas, such as foothills, forest, creeks and towns. You can go as short or deep along the way as you want (there is a point around San Simeon in which you’re fully committed and cannot get over to a highway with many lanes).